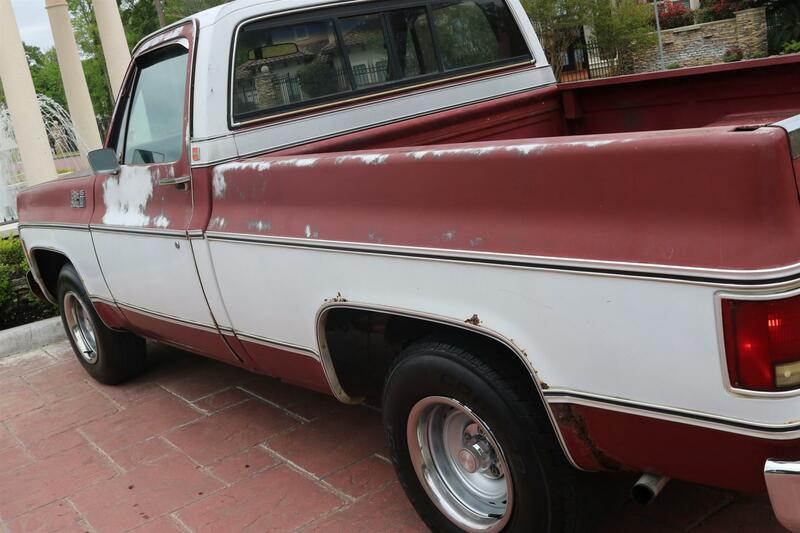 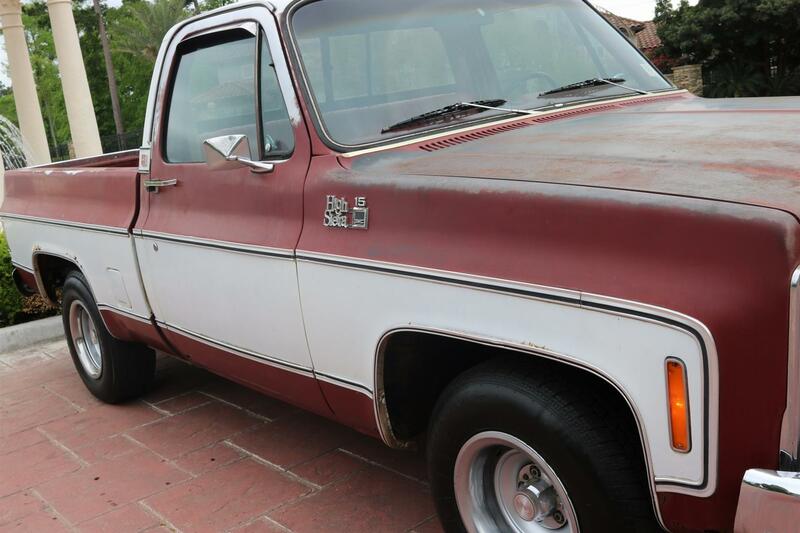 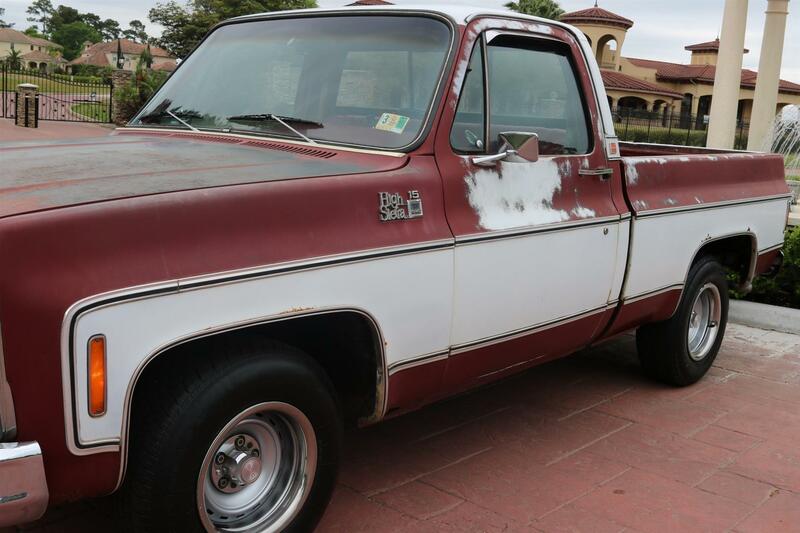 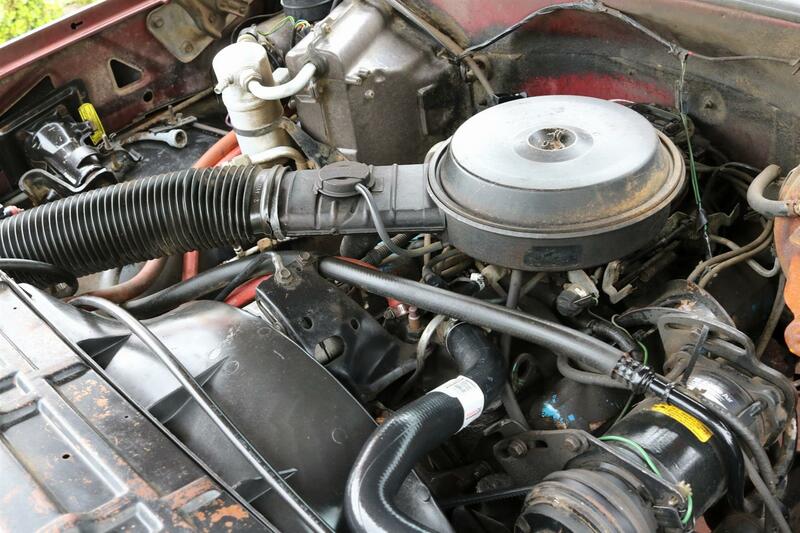 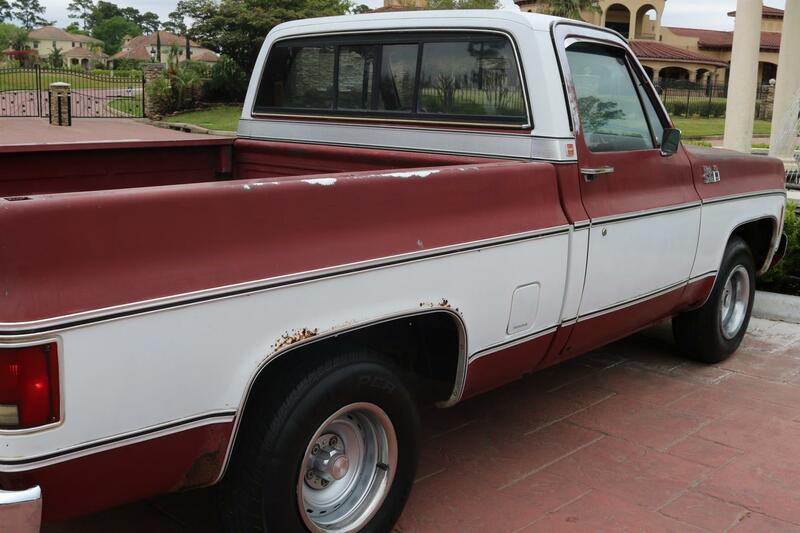 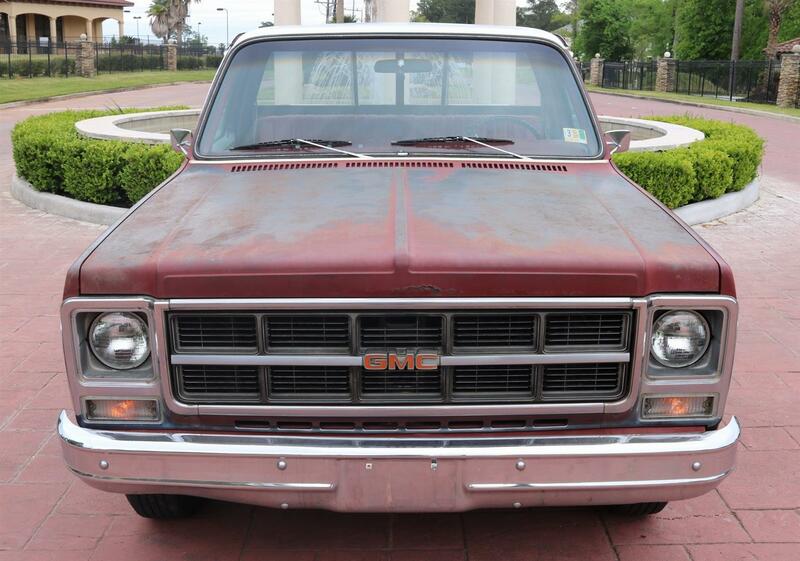 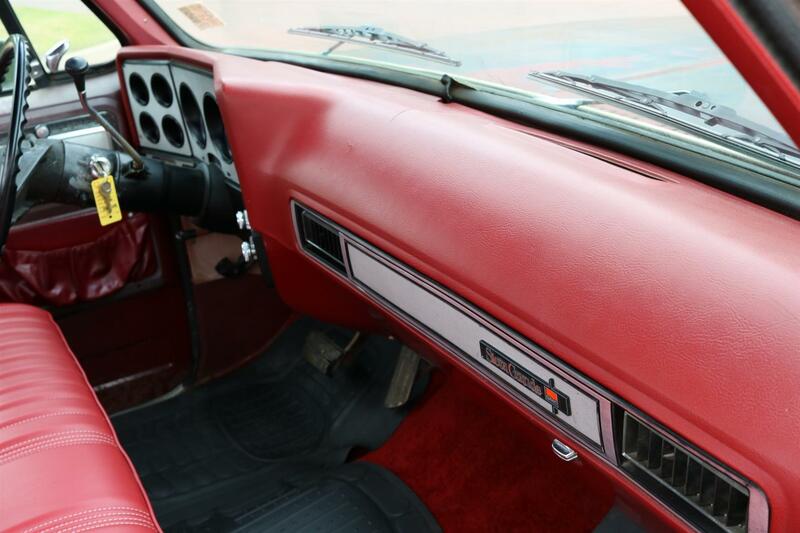 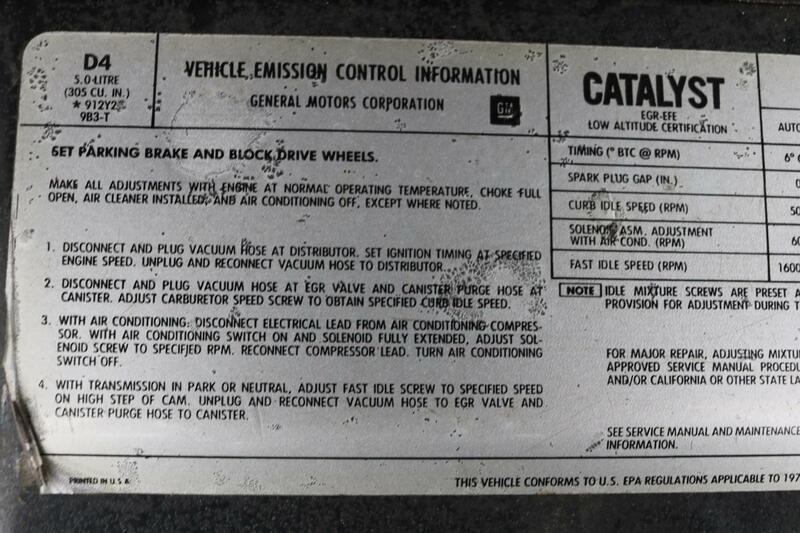 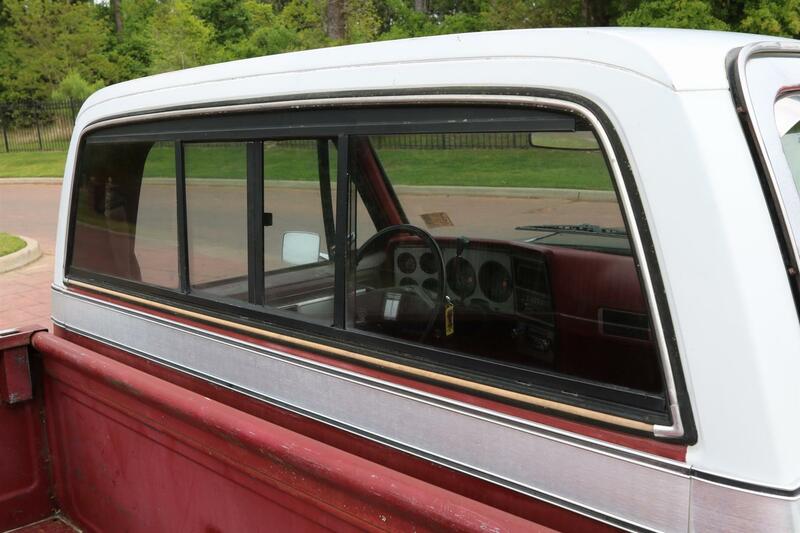 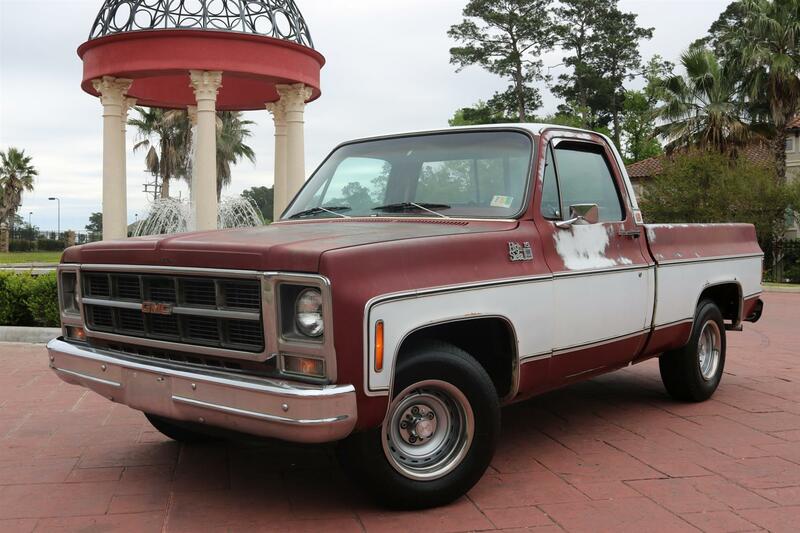 1979 GMC High Sierra 15 SWB – V8, Auto, PS, PB, A/C, New Seat, Documented, Original Paint & Trim, Perfect Patina! 1979 GMC High Sierra 15 SWB – Thoroughly redesigned from stem to stern, the all-new trucks for 1973 proved to be the longest lived series in GMC’s history and is the one to have for fans of three-box styling. 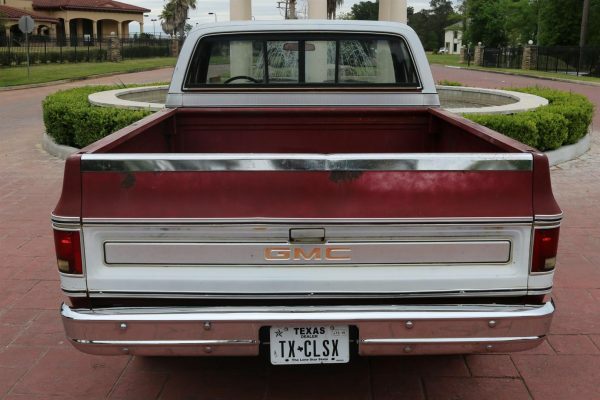 Aside from wheels and hubcaps, there aren’t many curves in the design, unless you count the body sides that feature a sculpted character line with a central plateau body panel and the first use of curved side glass on a GM truck. This platform also featured GM’s first in-house built crew cab, along with the Suburban’s finally getting four doors like a normal station wagon. 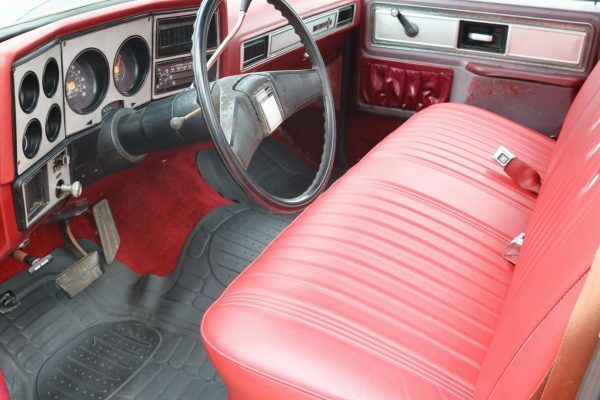 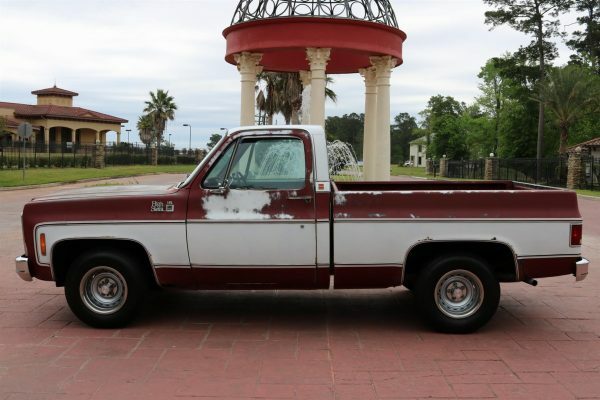 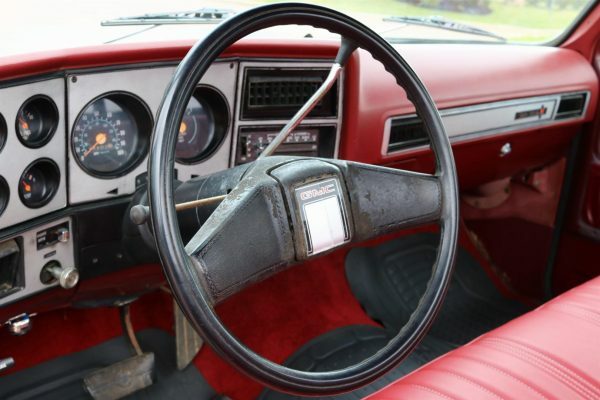 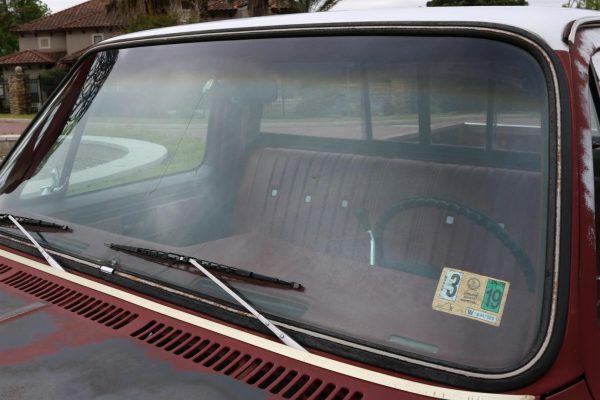 GMC also offered this cab with only a single front bench seat beginning in 1976 as the Bonus Cab, as something of a competitor to the Dodge Club Cab and Ford SuperCab. 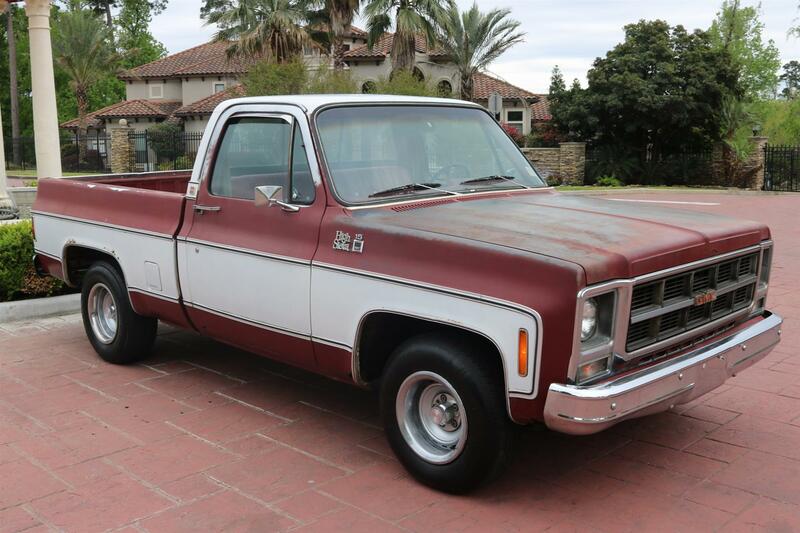 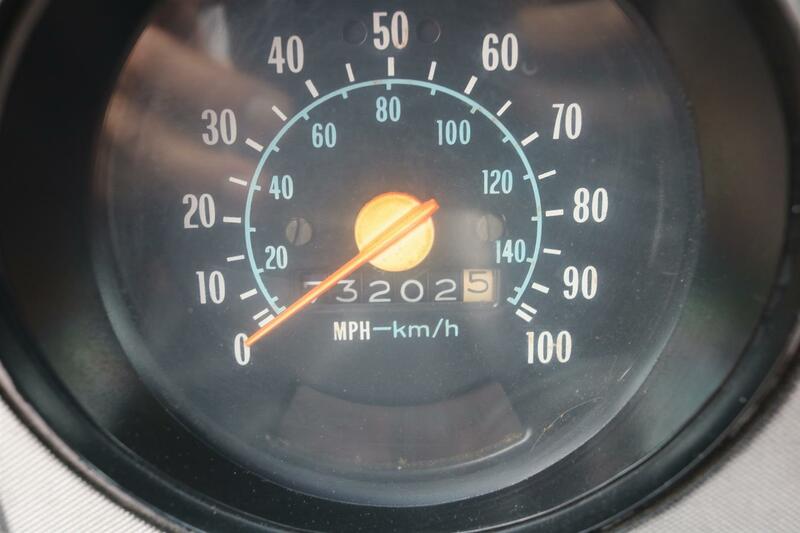 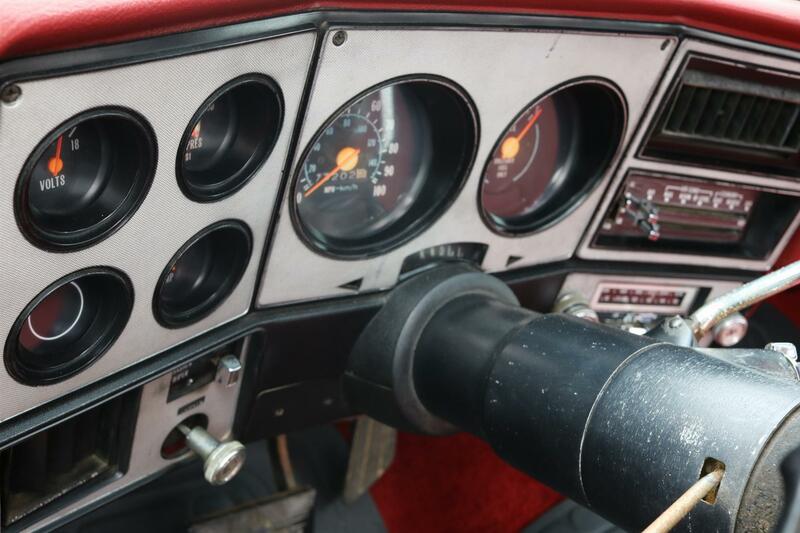 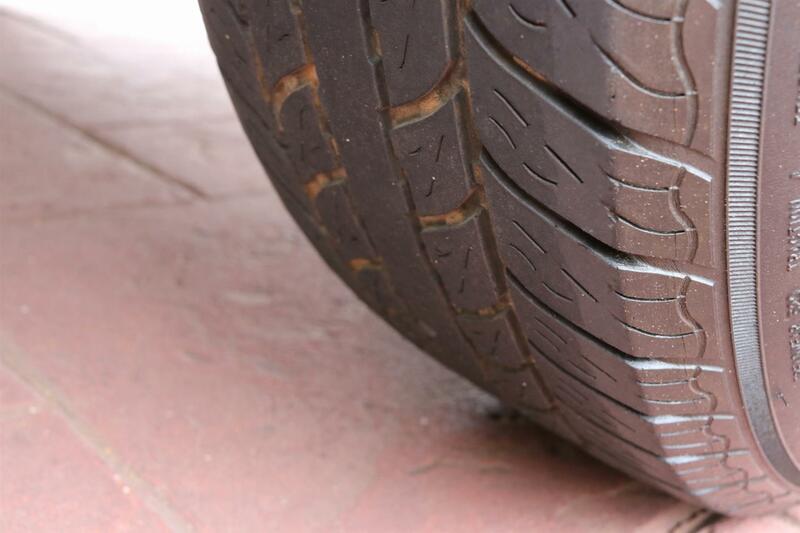 Trim lines ranged from the entry level Custom, Custom Super, Sierra, to top end Sierra Grande. 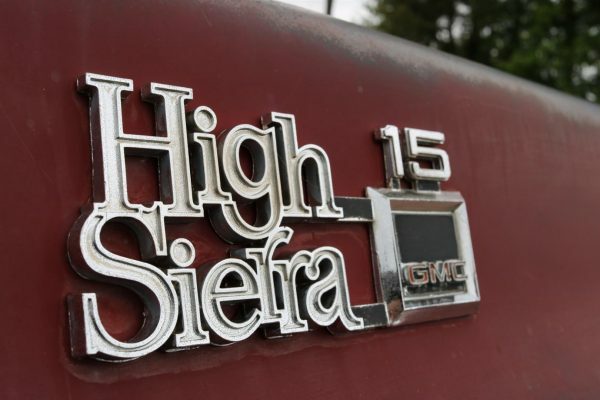 Names were revised in 1975, with the hierarchy going from Sierra, Sierra Grande, High Sierra, to Sierra Classic. This remained in effect through 1982, when the High Sierra was dropped, with the others continuing though the end of series production. 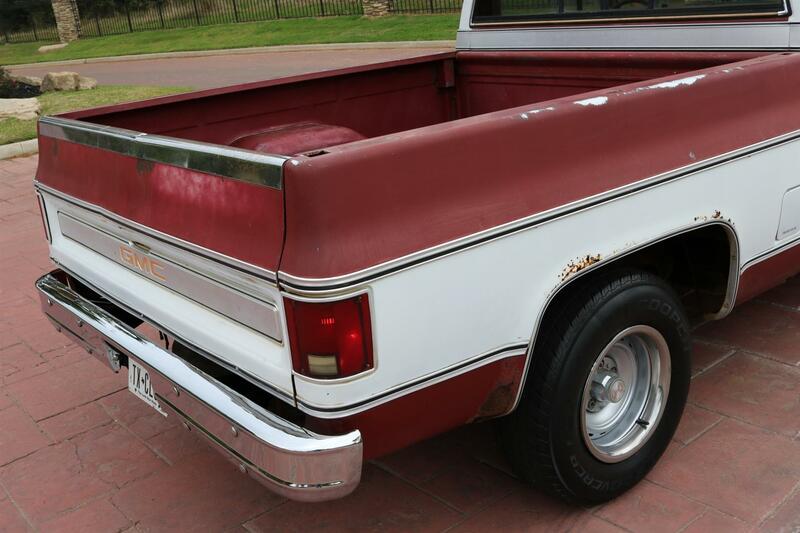 We’ve had numerous squarebody trucks grace our warehouse over the years. Many are original but have been restored to some level over their lives. 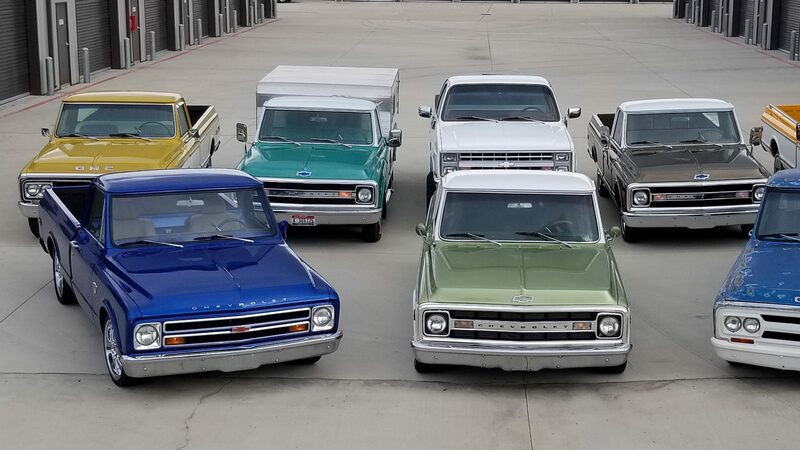 It seems that with each passing year it becomes harder and harder to locate these classic trucks in original condition. 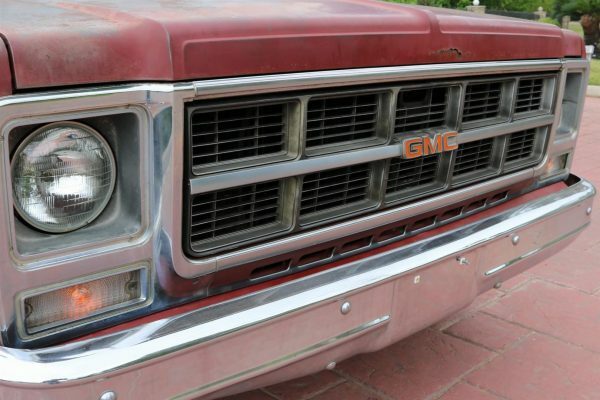 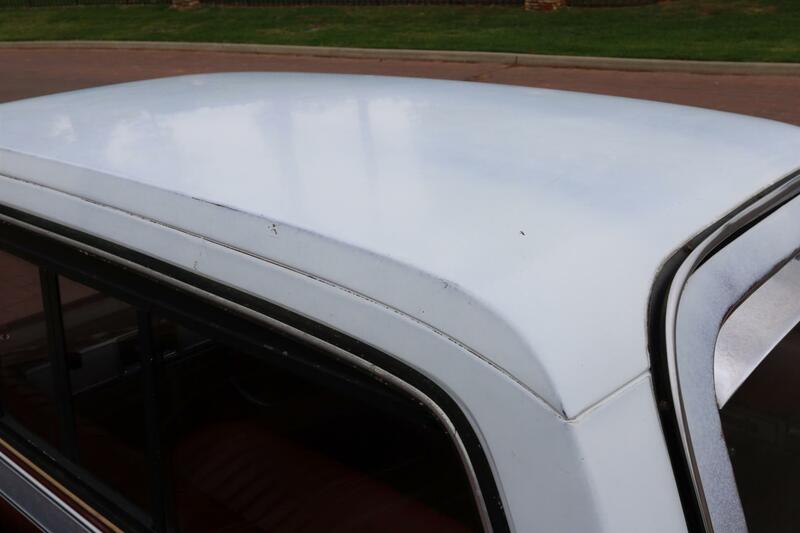 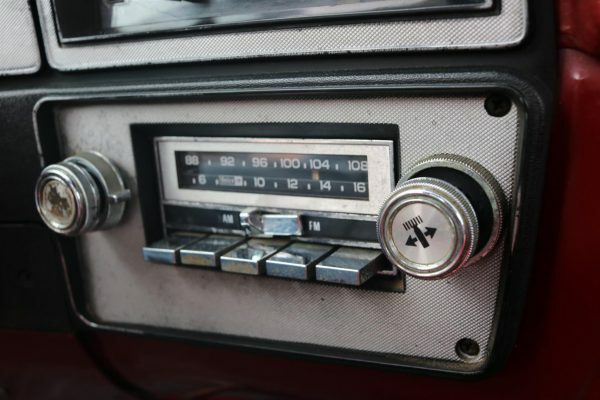 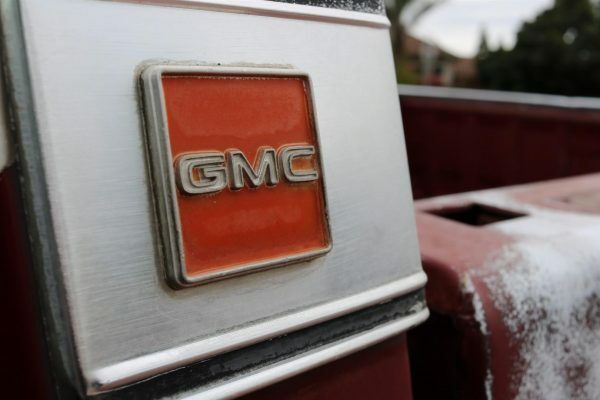 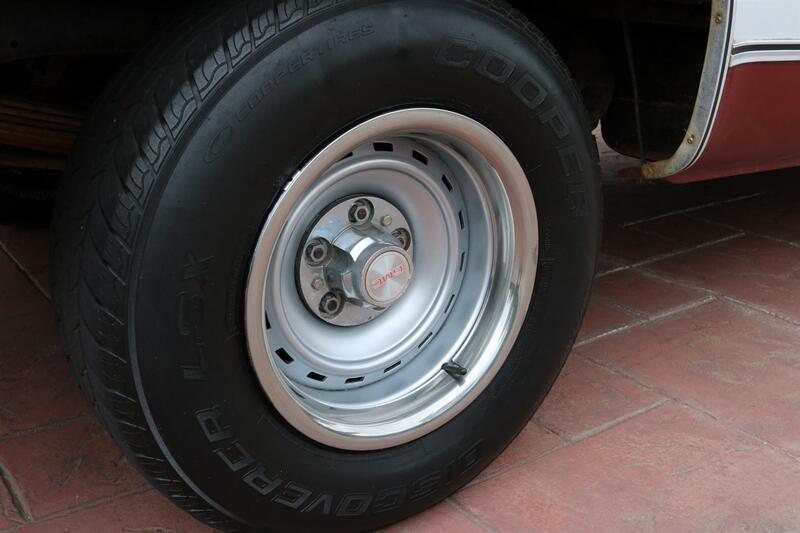 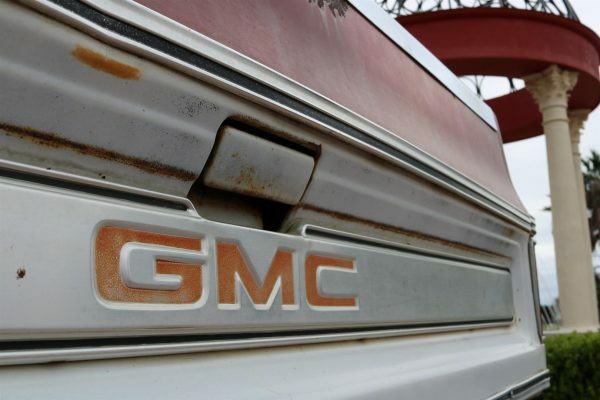 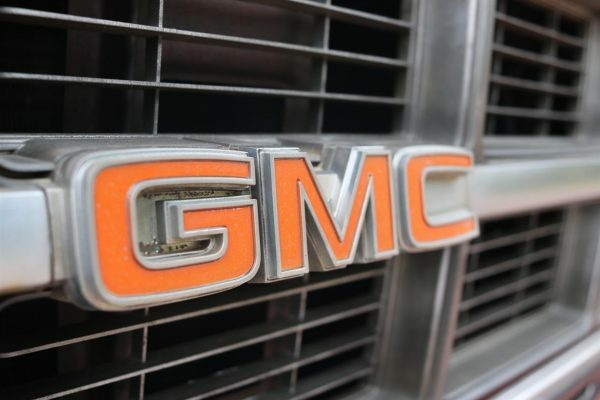 When we located this GMC retaining its original Carmine Red and White two-tone paint and great patina, we knew it would be a welcomed addition to our inventory. A quick review of the bed reveals that this truck was never worked hard and still remains very solid. 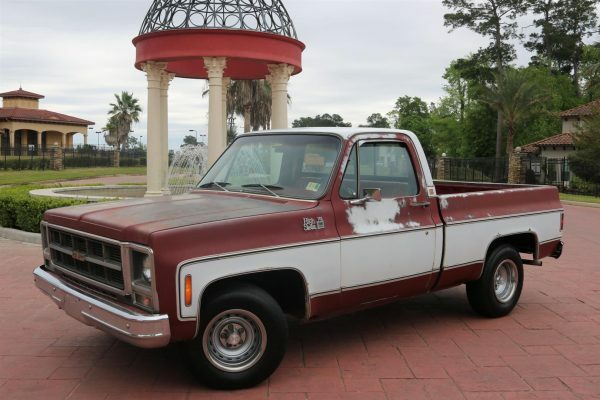 Obviously, a lack of restoration expenses make this particular truck a very affordable entry-level truck for any C10 enthusiast. Or if you need a perfect donor truck for an LS motor swap, this High Sierra is the perfect fit. 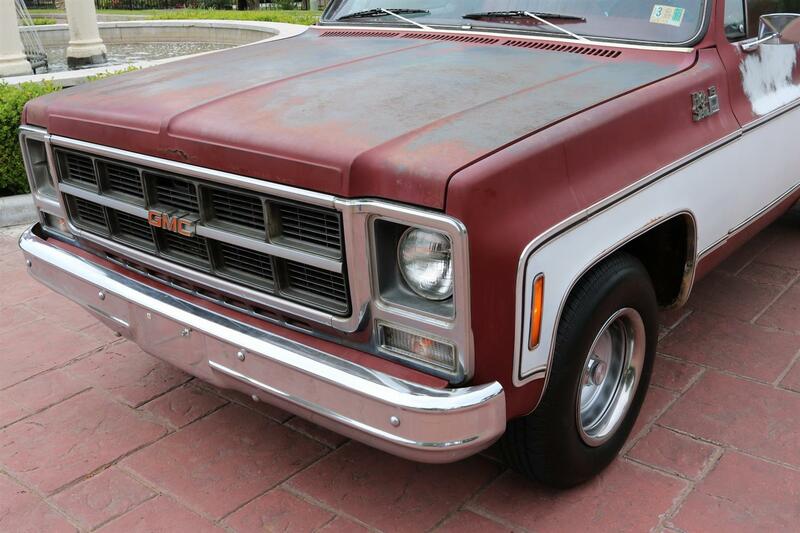 But if you wanted to nothing at all except just jump in and drive, this GMC is ready to go. 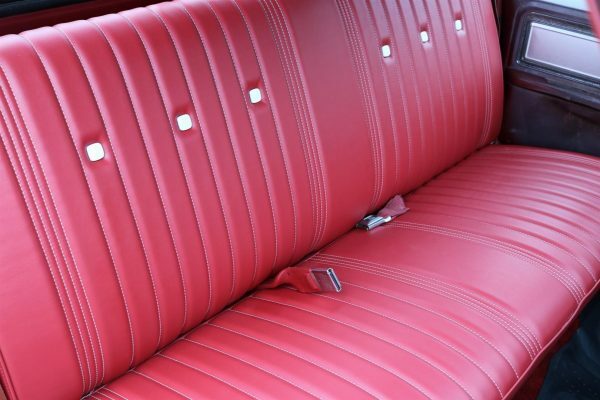 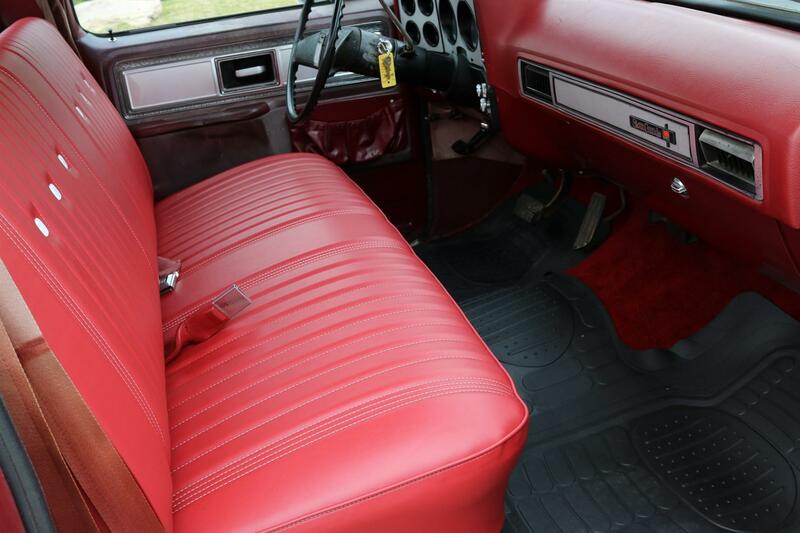 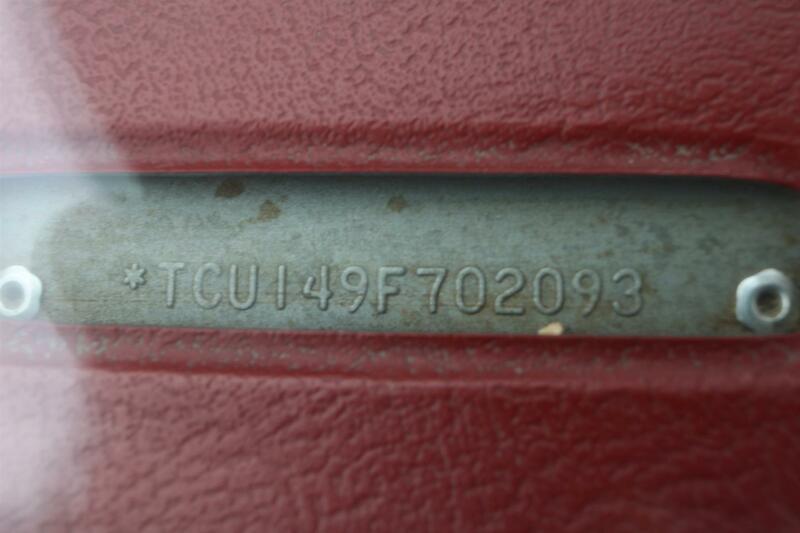 The previous owner recently installed a new red vinyl bench seat and a set of Mastercraft tires for an improved ride. 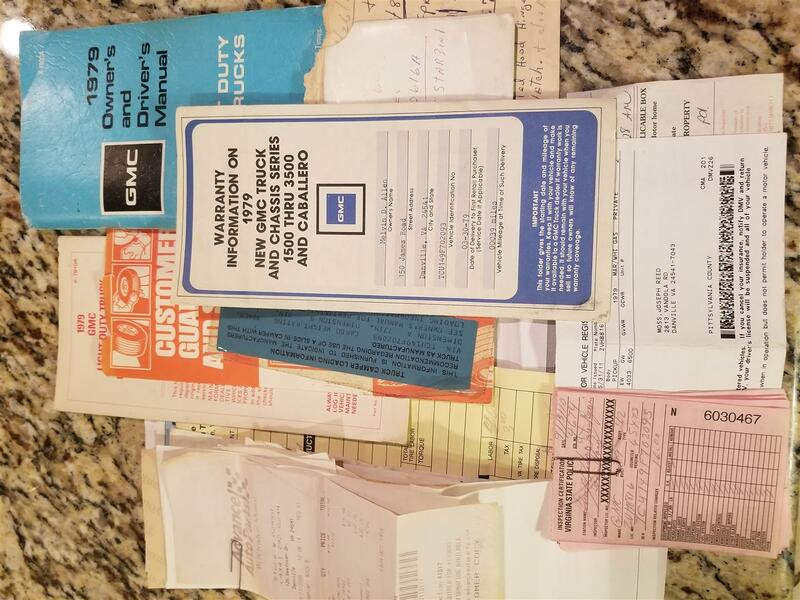 He also passed along the original manuals and a large file of registration and service receipts that will accompany this sale. 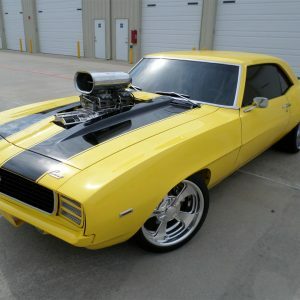 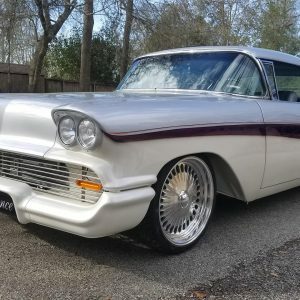 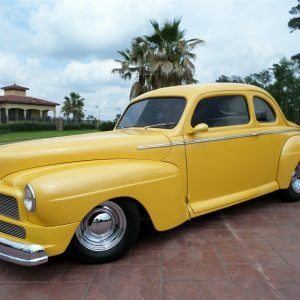 Additional features and options include; 305 V8, Auto, RWD, SWB, Power Steering & Brakes, A/C, Chrome Grill/Bumpers/Mirrors, Rubber Floormats, Factory AM/FM Radio, Owners Manual, Sliding Rear Window, Vent Windows, Tinted Glass, Tire Tools, Spare Tire, 15″ Rally Wheels, and Thick 235/75/R15 Tires! 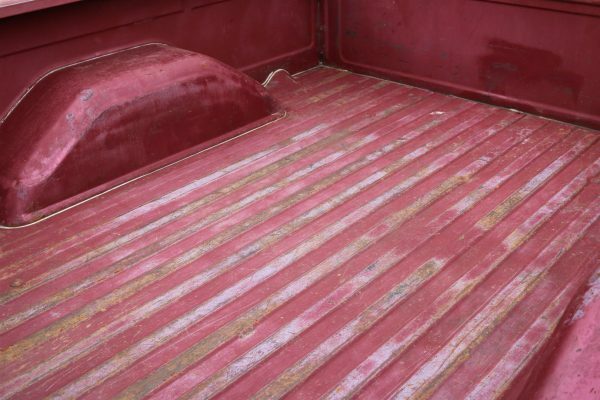 This truck is priced to sell and won’t last long!